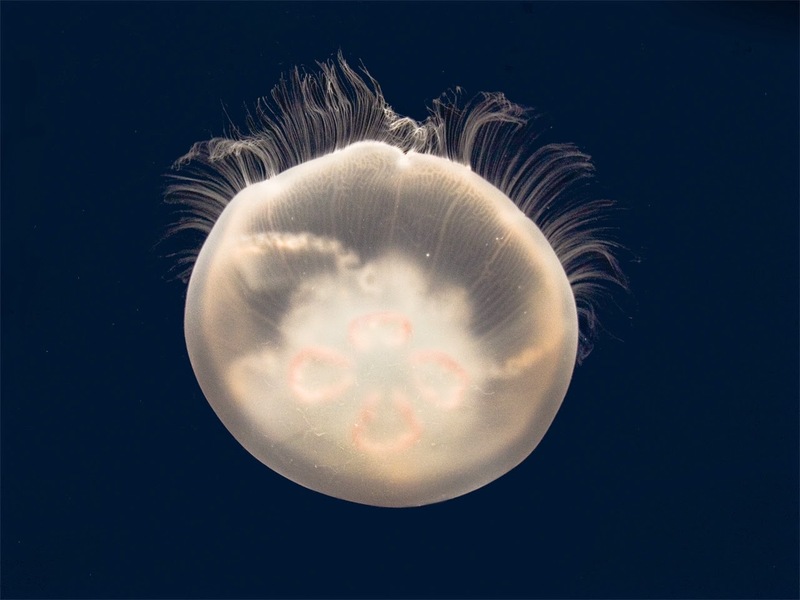 PTMSC Blog : Jelly Populations on the Rise? Jelly Populations on the Rise? Over the last several decades, records of global jelly populations suggest numbers are on the rise. The jury is still out on whether or not this is a sign of an ocean in trouble. However, an important message emerges from marine researchers: ongoing worldwide jelly monitoring programs will act as sentinels to identify future changes in marine ecosystems. For this reason, the Port Townsend Marine Science Center is starting our own jelly survey. But we need your help. You may be wondering: What is a jelly? Jellies are comprised of gelatinous tissue and lack hard skeletal components. Jellies have tissue composed of at least 95% water and are delicate and easily damaged. They are a key indicator species of ocean health and an important link in our local marine food web. With your support, PTMSC will be able to collaborate with local researchers to develop a survey protocol and contribute our observation data to the global jelly survey program, JellyWatch. The project aims to be available to all PTMSC visitors, volunteers, and staff. The survey is designed around a “drop-in” style of Citizen Science, allowing any park or Science Center visitor to participate. This coming Tuesday, May 5th, the Port Townsend Marine Science Center is joining more than 8,000 nonprofits for the GiveBIG fundraising event through the Seattle Foundation to raise funds that will support the collective action necessary in addressing the problems affecting our oceans today, including climate change! We need your help in raising $13,000 in one day to support climate-change action. Thanks to a group of generous PTMSC supporters, the first $6,500 donated will be matched dollar for dollar! In anticipation of this BIG event, we’ve been sharing updates on some of our climate change efforts: our new Gone Green? Go Blue! exhibits, a pilot program with our local high school focusing on ocean acidification, and today, our citizen science project that studies jellyfish populations around the pier at Ft. Worden State Park. Gone Green? GiveBIG! Support Your Local Ocean next Tuesday, May 5. This is the BIG day! Help us raise 13K!